On display, impressive ready to wear leather and fur fashion items and haute quality creations made of leather, fur and luxury textiles. Moreover, the brands had the opportunity of presenting their high-end creations at the unique Fashion Gala Show and catwalks. 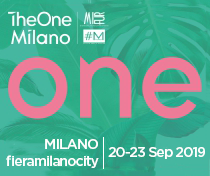 More than 120 exhibitors from Germany, Denmark, Italy, Canada, Hungary, Pakistan, Russian Federation, Serbia, Slovenia, Turkey and Ukraine took part in the fair and showcased their newest high-end fashion collections to more than 4.000 visitors. 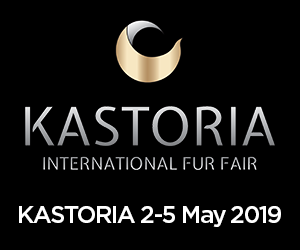 The International Fur Federation (IFF) was main supporter, besides NAFA participated as VIP Guest Exhibitor and Co-Supporter, while Kopenhagen FUR was the Lounge Sponsor and VIP Guest of the fair. 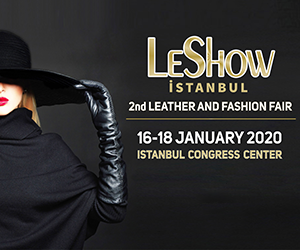 LeShow Istanbul 2019 also provided a prestigious Int’l Hosted Buyer Program with more than 350 trade buyers with the aim to build new int’l cooperation initiatives and to leverage trade volumes in the global leather & fur fashion industry market. The buyers were selected from USA, Australia, Armenia, Belarus, Georgia, Argentina, Morocco, UK, Republic of South Africa, Greece, Netherlands, Italy, UAE, Pakistan, Kazakhstan, Egypt , Portugal, Russian Federation, Serbia, Saudi Arabia, Ukraine and Vietnam. As an esteemed leader in the modest fashion industry, the Islamic Fashion and Design Council (IFDC) Chairwoman, Ms. Alia Khan, was invited to be the Special Guest and Fair Int’l Brand Ambassador, where she addressed the sensitive subject of sustainability and ethics around global leather & fur industry. 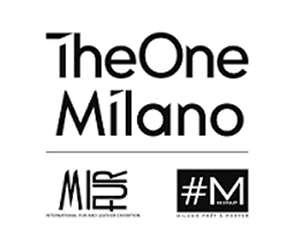 Moreover, famed for the most reputable leather and fur garments fashion brand and designer of the Balkans Region, Mrs. Irena Grahovac was VIP Guest Exhibitor-Designer and Fair Int’l Brand Ambassador to enhance brand awareness. 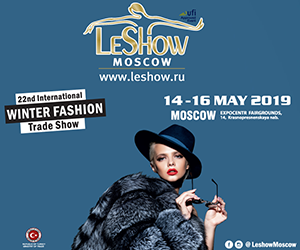 In epitome, with the rich data & profound experience of the 21 years old reputable LeShow Moscow, LeShow Istanbul 2019 has served as an extensive platform for the global leather & fur fashion industry and facilitated connection between global manufacturers, wholesalers, fashion retail shops, designers and the savvy shoppers. Also, the event offered to participating exhibitors and designers a unique visibility and opportunity. Appointment with LeShow ISTANBUL 2020, to be held between January 23h to 25th next year in the same location.